The Food Album is a compilation album by American singer-songwriter "Weird Al" Yankovic, released on June 22, 1993 by Scotti Brothers Records. The release features ten of Yankovic's song parodies, all of which pertain to food. A similar album, The TV Album, which features songs entirely about television, would be released two years later. The album was begrudgingly released by Yankovic, who felt that the compilation was unnecessary and merely a way for his record label to make money. 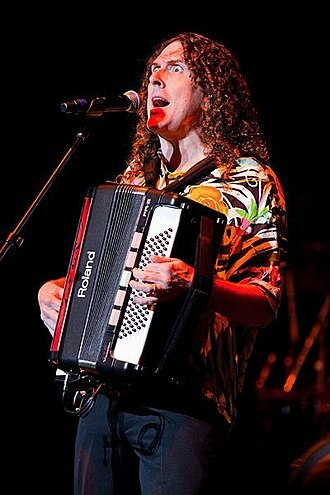 Several food-related songs that Yankovic had recorded, such as "Girls Just Want to Have Lunch" and "Waffle King", were left off the record, although the former was due to personal preference, while the latter was due to scheduling issues. The Food Album received mixed reviews from music critics, many of whom felt that the record was an enjoyable collection of songs, but that it was not an essential record to purchase. Despite the lukewarm reception, the record was certified Gold by the Recording Industry Association of America (RIAA), making it Yankovic's first and only compilation record to reach this certification. The music featured on The Food Album spans a decade, with the earliest songs being recorded in 1982, and the most recent song being recorded in 1992. Yankovic's first eponymous album has two songs featured: "I Love Rocky Road" and "My Bologna". Both "Eat It" and "Theme from Rocky XIII (The Rye or the Kaiser)" were culled from the 1984 release, "Weird Al" Yankovic in 3-D. "Addicted to Spuds" originally appeared on the 1986 release Polka Party!, and "Fat" and "Lasagna" were first featured on Yankovic's 1988 release Even Worse. "Spam" first was released on the soundtrack to the 1989 film UHF. The final two songs—"The White Stuff" and "Taco Grande"—were taken from the 1992 album Off the Deep End. Notable for its absence is "Girls Just Want to Have Lunch", from Dare to Be Stupid (1985). According to Yankovic, this is due to the fact there is a "royalty ceiling" on the albums and he needed to pick one song to cut from the list in order to turn a profit on the album. "Girls Just Want to Have Lunch" was chosen due to Yankovic's personal dislike of the song, as his record label had forced him to record it in order to release Dare to Be Stupid back in 1985. Also absent from the release is "Waffle King." The song had originally been recorded for Off the Deep End. However, Yankovic decided to swap "Waffle King" with "I Was Only Kidding"—a song he had actually recorded for his next album—at the last minute; this forced Yankovic to shelve "Waffle King" for the time being. The song was later released on "Smells Like Nirvana" single, as well as Yankovic's eighth studio album, Alapalooza, which was released four months after The Food Album. I don't mind putting out actual Greatest Hits albums every decade or so—I realize the value in that. I just have a problem when the record company tries to make a quick buck by putting out albums like Songs That Al Did In The Key Of F#. The album was released by Scotti Brothers Records and was only begrudgingly approved by Yankovic. At the time, Scotti Brothers had insisted on putting out a new album by Yankovic in order to meet monetary projections at the time, despite the fact that no new album was ready (Alapalooza would not be released until later in the year). The label originally proposed a release entitled Al Unplugged, which would have featured studio remixes of previously released material, with the electronic instruments missing; the label also wanted the cover to feature Yankovic holding the cords of unplugged kitchen appliances. Yankovic did not enjoy this idea and convinced them to instead release The Food Album—"a concept [he] hated only slightly less"—but would later describe it as a "cheesy compilation" put out "against [his] better wishes and judgement." The TV Album was released under similar circumstances in 1995; however, when it came time to release the latter album, Yankovic reported that "the record company was a whole lot nicer when they asked the second time", and that there was "more groveling [and] less demanding". Following the release of The Food Album and The TV Album—in addition to the various greatest hits records that had been released—Scotti Brothers used-up all of their compilation options in Yankovic's contract, which prevented the release of further compilations when Volcano Records acquired his contract in the late 1990s. The album artwork—which features a cartoon alien after it has eaten Yankovic—was created by Doug Lawrence, who is better known as "Mr. Lawrence", an American voice actor, comedian, writer, storyboard artist, animator and director. The "grotesque" cover was Yankovic's "passive-aggressive protest" against his label for forcing out the album; Yankovic intended the alien having "picked the desiccated corpse of Weird Al clean" to be a reference to his record label "bleed[ing] his catalogue dry" by releasing the album. The Japanese release of the album, however, featured much different artwork, as well as a name change; because there is no "F" in the Japanese language, the album was retitled The Hood. The Food Album has received mixed reviews from most critics; many felt that while the album was amusing it was not an essential release. Allmusic reviewer Johnny Loftus awarded the album three out of five stars and wrote that, "The Food Album is an enjoyable bag of treats. Just don't eat too much, or you'll probably get sick." Likewise, The Rolling Stone Album Guide awarded the album three out of five stars. Anthony Violanti of The Buffalo News gave the album a moderately positive review and wrote that, "[t]here are two kinds of people in the world: those who love Weird Al Yankovic and those who can't stand him. Count me among the Weird One's biggest fans, and that's why I flipped out when listening to The Food Album." He concluded that the album was "like reading Mad magazine"; he gave the record three stars out of five. Tim Grobaty of the Press-Telegram, on the other hand, wrote negatively of the album, stating "Yankovic's songs are the kinds of things that are sort of funny in concept, less funny when you actually hear them once, and increasingly irritating with each subsequent listen [and] his food songs are among his worst." Upon release, The Food Album failed to chart; however, it sold steadily. On January 25, 2006—more than ten years after its release—the album was certified Gold by the Recording Industry Association of America (RIAA). This makes it Yankovic's first and only compilation album to sell over 500,000 copies and be certified Gold. 3 "Addicted to Spuds" 3:50 "Addicted to Love" by Robert Palmer About a man's obsession for potatoes and potato-based dishes. Polka Party! ^ a b c d e f Yankovic, Alfred M. (December 2007). "Recording Dates". The Official "Weird Al" Yankovic Web Site. Retrieved June 26, 2010. ^ "Weird Al" Yankovic (liner). Alfred "Weird Al" Yankovic. Scotti Brothers Records. 1983. ^ "Weird Al" Yankovic in 3-D (liner). "Weird Al" Yankovic. Scotti Brothers Records. 1984. ^ a b Polka Party! 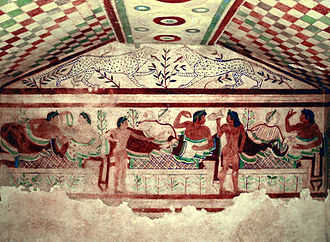 (liner). "Weird Al" Yankovic. Scotti Brothers Records. 1986. Note: the original vinyl and CD release of the album contained complete liner notes, which included lyrics. The 1991 re-issue, however, does not feature liner notes. ^ a b c Even Worse (liner). "Weird Al" Yankovic. Scotti Brothers Records. 1987. Note: the original vinyl and CD release of the album contained complete liner notes, which included lyrics. The 1991 re-issue, however, does not feature liner notes. ^ a b UHF – Original Motion Picture Soundtrack and Other Stuff (liner). "Weird Al" Yankovic. Scotti Brothers Records. 1989. Note: the original vinyl release of the album contained complete liner notes, which included lyrics and personnel. The CD re-issue, however, only features minimal liner notes. ^ a b c Off the Deep End (liner). "Weird Al" Yankovic. Scotti Brothers Records. 1992. ^ Yankovic, Alfred M. (December 1998). "'Ask Al' Q&As for December 1998". The Official "Weird Al" Yankovic Web Site. Retrieved April 23, 2011. ^ Yankovic, Alfred M. (March–April 1999). "'Ask Al' Q&As for March/April, 1996". The Official "Weird Al" Yankovic Web Site. Retrieved April 23, 2011. ^ Smells Like Nirvana CD single (liner notes). "Weird Al" Yankovic. California, USA: Scotti Brothers Records. 1992. ^ Alapalooza (liner). "Weird Al" Yankovic. Scotti Brothers Records. 1993. ^ Yankovic, Alfred M. (June 1999). "'Ask Al' Q&As for June, 1999". The Official "Weird Al" Yankovic Web Site. Retrieved April 23, 2011. ^ Yankovic, Alfred M. (February 1999). "'Ask Al' Q&As for February 1999". The Official "Weird Al" Yankovic Web Site. Retrieved April 23, 2011. ^ a b Yankovic, Alfred M. (May 1999). "'Ask Al' Q&As for May, 1999". The Official "Weird Al" Yankovic Web Site. Retrieved April 23, 2011. ^ a b c d e f g h i j k l m n o p q r s The Food Album (liner). "Weird Al" Yankovic. Scotti Brothers Records. 1993. ^ a b Yankovic, Alfred M. "'Weird Al' Yankovic: Rare Items – The Food Album". The Official "Weird Al" Yankovic Web Site. Retrieved April 23, 2011. ^ a b Loftus, Johnny. "The Food Album – Weird Al Yankovic". allmusic.com. Retrieved April 23, 2011. ^ a b Brackett, Nathan; Christian Hoard (2004). The Rolling Stone Album Guide. New York City, New York: Simon and Schuster. p. 893. ISBN 0-7432-0169-8. ^ a b c "Gold & Platinum – Search Results: 'Weird Al' Yankovic". Recording Industry Association of America. Retrieved April 17, 2011. ^ a b Tarnow, Noah (July 16, 1998). "Don't Knock The Knack". Rolling Stone. New York City, USA: Jann Wenner. ^ Rabin, Nathan (June 29, 2011). "Set List 'Weird Al' Yankovic". The A.V. Club. The Onion. Retrieved July 2, 2011. Rabin, Nathan; Yankovic, Alfred M. (September 25, 2012). Weird Al: The Book. Abrams Image. ISBN 9781419704352. The song was written to poke fun at the fact that many people had a hard time understanding Nirvana singer Kurt Cobains lyrics in the original song. After being unable to contact Nirvana by conventional means, Yankovic called Cobain while the band was on the set of Saturday Night Live, recording the song was a change for Yankovic and his band. Usually, the group were forced to record several overdubs, Smells Like Nirvana, was relatively straightforward in its musical composition. To promote the single, Yankovic created a video for the song that parodied the Smells like Teen Spirit video. The parody video closely mirrored the original, Yankovic even went so far as to several of the same actors. Smells Like Nirvana was met with praise and helped to re-energize Yankovics career. Cobain considered the parody as a sign that they had made it as a band, the song is one of Yankovics most successful singles, reaching number 35 on both the Billboard Hot 100 and the US Mainstream Rock Tracks. The songs video was nominated for a 1992 MTV Video Music Award for Best Male Video, prior to writing Smells Like Nirvana, Yankovics music career had suffered from the poor financial performance of his 1989 feature film, UHF and the associated soundtrack. Yankovic called that the beginning of three years where it was kind of hard for me to recover and he started work on a new studio album around 1990. To revitalize his career, he considered creating a parody of a Michael Jackson song, Yankovic would believe that Jacksons refusal was, in retrospect, a blessing, he felt that Snack All Night was not one of his better works. The band Nirvana started to become a name in the scene at the time, creating big. Yankovic felt that the bands 1991 album Nevermind, which featured Smells Like Teen Spirit, was really great, by early 1992, Nevermind had reached platinum certification and led the Billboard charts, which led Yankovic to start working on a parody. Yankovic decided to use this as the basis for his parody, Yankovic noted, I try not to go the obvious route all the time, but sometimes the most obvious is actually the best. Yankovic had initial difficulty getting permission for the parody, as his manager claimed he was unable to get through to the numerous times. Weird Al Yankovic in 3-D is the second studio album by American singer-songwriter Weird Al Yankovic, released on February 28,1984, by Rock n Roll Records. The album was one of many produced by former The McCoys guitarist Rick Derringer, recorded between October and December 1983, the album was Yankovics follow-up to his modestly successful debut LP, Weird Al Yankovic. The music on Weird Al Yankovic in 3-D is built around parodies and pastiches of pop, half of the album is made up of parodies, featuring jabs at Michael Jackson, Men Without Hats, The Greg Kihn Band, The Police, and Survivor. The other half of the album is original material, featuring many style parodies, or musical imitations that come close to and these style parodies include imitations of specific artists like Bob Marley and The B-52s. Weird Al Yankovic in 3-D is notable for being the first album released by Yankovic to feature a medley of hit songs. These pastiches of hit songs, set to music, have since appeared on nearly all of Yankovics albums. Weird Al Yankovic in 3-D was met mostly positive reviews and peaked at number seventeen on the Billboard 200. The album produced one of Yankovics most famous singles, Eat It and this song was Yankovics highest charting single until White & Nerdy from his 2006 album Straight Outta Lynwood peaked at number nine in the October 21,2006 Billboard charts. Eat It charted at number one in Australia, making it Yankovics only number one single in any country, the album produced two minor US hits, King of Suede, which peaked at number sixty-two, and I Lost on Jeopardy, which peaked at number eighty-one. The album was Yankovics first Gold record, and went on to be certified Platinum for sales of one million copies in the United States. Eat It won a Grammy Award for Best Comedy Performance Single or Album, in October 1983, Yankovic began recording his second album at Santa Monica Sound Recorders, in Santa Monica, California. To produce it, he brought in former The McCoys guitarist Rick Derringer, backing Yankovic were Jon Bermuda Schwartz on drums, Steve Jay on bass, and Jim West on guitar. Lasagna is a song by Weird Al Yankovic. It is a parody of La Bamba, a song popularized by Ritchie Valens. Lasagna –2,45 Velvet Elvis –4,27 When Yankovic began writing the song, he claimed, under U. S. law, Yankovic can parody any song as long as he pays royalties to use the original music. However, as a rule, he asks for permission to maintain good relations with the industry. This song is an exception to that rule, the single was released exclusively in Japan as a mini 3 CD single. There is no music video for this single, though a shortened music video segment was shown in 1997 as a part of The Weird Al Show. The video features a stereotypical Italian family, including an elderly woman, when the line A-dont you get any on ya, you sloppy pig is sung, the elderly woman at the dinner table drops the lasagna into Luigis lap. After Have-a more ravioli is sung, two children catch ravioli in their mouth, near the end, lasagna is falling out of Luigis mouth. The elderly woman and one of the fight over the lasagna near the end. Alfred Matthew Weird Al Yankovic is an American singer, parodist, record producer, actor, voice actor, music video director, film producer, and author. Since his first-aired comedy song in 1976, he has more than 12 million albums, recorded more than 150 parody and original songs. His works have earned him four Grammy Awards and a further 11 nominations, four gold records, Weird Als first top ten Billboard album and single were both released in 2006, nearly three decades into his career. His latest album, Mandatory Fun, became his first number-one album during its debut week and he directed videos himself and went on to direct for other artists including Ben Folds, The Black Crowes, and The Presidents of the United States of America. Weird Al has stated that he may forgo traditional albums in favor of timely releases of singles, in addition to recording his albums, Weird Al wrote and starred in the film UHF and The Weird Al Show. He has made guest appearances and voice acting roles on television shows and video web content. He has written two books, When I Grow Up and My New Teacher and Me. Yankovic was born in Downey and raised in Lynwood. He is the child of Mary Elizabeth and Nick Yankovic. 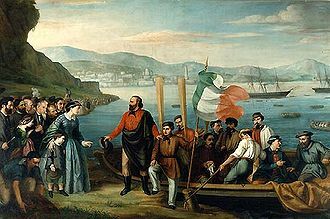 Mary, who was of Italian and English descent, had come to California from Kentucky, Als first accordion lesson, which sparked his career in music, was on the day before his sixth birthday. A door-to-door salesman traveling through Lynwood offered the Yankovic parents a choice of accordion or guitar lessons at a music school. Yankovic said that parents chose the accordion because they were convinced it would revolutionize rock and he continued lessons at the school for three years before continuing to learn on his own. Yankovics early accordion role models included Frankie Yankovic and Myron Floren, in the 1970s, Yankovic was a big fan of Elton John and claims Johns Goodbye Yellow Brick Road album was partly how I learned to play rock n roll on the accordion. Other sources of inspiration for his comedy come from Mad magazine, Monty Python, Yankovic began kindergarten a year earlier than most children, and he skipped second grade. 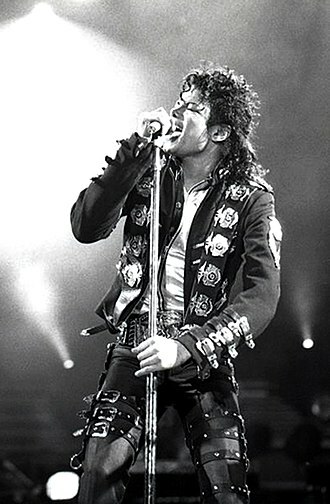 Bad is a song by an American artist Michael Jackson. Bad was released by Epic Records on September 7,1987, as the single from Jacksons third major-label. The song was written and composed by Jackson and co-produced by Quincy Jones, Jackson stated that the song was influenced by a real-life story he had read about. 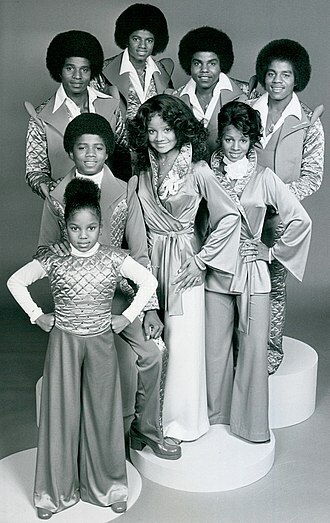 Bad was well received by music critics, with some critics noting that Bad helped Jacksons image become edgier during the Bad-era. The song peaked at one on the Netherlands and European charts. The video portrays Michael Jackson and various backup dancers shown performing choreography in a subway station. Bad has been covered and parodied by many different artists since its release and has become a song used frequently in tributes to Jackson after his death in June 2009, the song is featured in the 2010 animated film Megamind. It is featured in the first theatrical trailer for the 2016 animated film The Angry Birds Movie, Jackson plays a teenager named Darryl, who has just completed a term at an expensive private school. He returns to the city and takes the back to his neglected neighborhood. Darryl finds his home is empty where he is greeted by his old friends, the leader of the group is Mini Max. At first, relations are friendly but slightly awkward, the situation begins deteriorate as the gang starts to realize how much Darryl has changed. They especially notice how uncomfortable he has become with their criminal activities, Darryl takes the gang to the subway station In an attempt to show his friends he is still bad by robbing an elderly man. He has a change of heart at the last minute and Mini Max chastises him telling Darryl hes no longer bad, after more disrespect from Mini Max, the video cuts to Darryl and a group of street kids dancing while Jackson sings Bad. Darryl insists that Max is headed for a fall which is nearly Darryls undoing, Mini Max accepts that and after a final handshake, leaves Darryl in peace. At the end of the video Darryl is left alone watching his gang leave, Bad is a song that was written and recorded by Michael Jackson in January 1987 for his seventh studio album of the same name and produced by Quincy Jones. Dare to Be Stupid is the third studio album by Weird Al Yankovic, released on June 18,1985. The album was one of many produced by former The McCoys guitarist Rick Derringer, recorded between August 1984 and March 1985, the album was Yankovics first studio album released following the success of 1984s In 3-D, which included the Top 40 single Eat It. The music on Dare to Be Stupid is built around parodies and pastiches of pop and rock music of the mid-1980s, featuring jabs at Madonna, Cyndi Lauper, Huey Lewis and the News, and The Kinks. The album features many style parodies, or musical imitations that come close to and these style parodies include imitations of specific artists like Devo and Elvis, as well as imitations of various musical genres like doo-wop, sci-fi soundtracks, and music from the 1920s and 1930s. Despite the mixed reception, Dare to Be Stupid sold well, the album produced one of Yankovics more famous singles, Like a Surgeon, a parody of Madonnas Like a Virgin, which peaked at number forty-seven on the Billboard Hot 100. The album was Yankovics second Gold record, and went on to be certified Platinum for sales of one million copies in the United States. The album was nominated for a Grammy Award for Best Comedy Recording in 1986, in January 1985 Yankovic entered the recording studio to begin the sessions to his In 3-D follow-up album. To produce the album, Yankovic brought in former The McCoys guitarist Rick Derringer who produced Yankovics previous albums, backing Yankovic were Jon Bermuda Schwartz on drums, Steve Jay on bass, and Jim West on guitar. The first session yielded four originals, Dare to Be Stupid, Cable TV, Slime Creatures from Outer Space, the band recorded a cover tune of the theme from George Of The Jungle. This Is The Life had already recorded and released as a single in November 1984. The song describes the narrators overly lavish lifestyle and had originally commissioned for the gangster spoof movie Johnny Dangerously. The albums title track, Dare to Be Stupid, is an ode to living life stupidly, according to the liner notes of The Ultimate Video Collection, the song represents Als motto in life. It is currently a part of Epic Records, a division of Sony Music Entertainment. Volcano Records was founded in 1990 by Jay-Shy and it is essentially the continuation of Zoo Entertainment which Shy bought from BMG in 1996. Initially, the company was meant to have two divisions Zoo/Volcano and Volcano which would be a hip-hop imprint, the first album released with the new ownership was flagship Zoo artist Tools album Ænima followed by actor Keanu Reeves band Dogstars album Our Little Visionary. However, the Zoo name was phased out and many of Zoo artists became the cornerstone of the Volcano roster. In October 1997, Volcano merged with Dallas Austins Rowdy Records to become Freeworld Entertainment, Freeworld was short lived as the label was plagued with financial trouble and the relationship with Austin faltered. Many of the employees were either cut or left. Additionally, the flagship artist Tool was attempting to leave the label which resulted in a lengthy lawsuit. In the spring of 1998, Freeworld was purchased and saved by the Zomba Label Group, though the Zoo branding was briefly reintroduced, Zomba quickly returned the Volcano moniker, abandoning Zoo altogether. A month later, Q Prime, led by top managers Cliff Burnstein and Peter Mensch, purchased a 50% stake in Volcano and they would sell their share back to Zomba in the early 2000s. 1998 marked the year that Volcano acquired the contracts and masters of Scotti Bros. Records which had just been purchased by Pearson PLC, continuing with that trend, Volcano purchased Capricorn Records in December 2000. In 2002, Zomba was purchased by BMG, returning Volcano to the BMG umbrella it had previously been a part of as Zoo Entertainment in the early nineties, Volcano now controls the Scotti Bros. Records, Capricorn Records and Zoo Entertainment catalogs, with Weird Al fulfilling his Sony contract on their main label RCA, for his 2014 album Mandatory Fun, this leaves Volcano functioning as primarily a reissue label and the home of only Tool. However, depending on how long it takes the band to new music, it is likely Volcano may not even exist if. Volcano products were distributed by BMG. When Zomba purchased the label in 1998, distribution was handled through the Zomba network which, depending on the territory, may have been BMG, when Zomba was purchased by BMG, BMG became the sole worldwide distributor again. With issue 24 (July 1955), Mad switched to a magazine format. The "extremely important message" was "Please buy this magazine!" Joan Jett & The Blackhearts' version of "I Love Rock 'n' Roll" is parodied on the album. Front page of the Buffalo Evening News dated July 21, 1969 featuring the Apollo 11 moon landing. Palmer performing the song live. 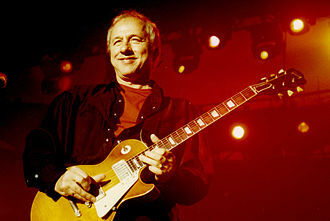 Dire Straits' guitarist Mark Knopfler specifically asked to play guitar on Yankovic's parody. 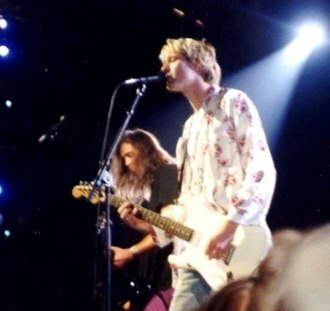 "Weird Al" Yankovic performing "Smells Like Nirvana" in concert, dressed like Kurt Cobain. Beaucoup, "Somewhere Out In The Night"